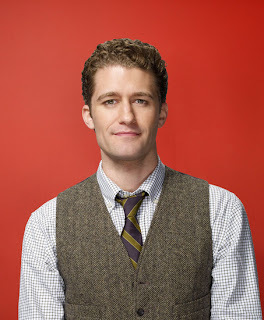 But the reason Matthew Morrison earns this week’s golden s/s is because of his new work on the show “Glee.” This show looks like it’s going to be a hit. It has already generated an enormous fan base, and the season has just started. I don’t know if it will make as far as something like the original “90210,” with ten seasons (I didn’t watch any of them), but I hope “Glee” stays around for awhile. QATFYG: Do you watch Glee? Are you a musical fan? And how long will Glee last? I know that wasn't relevant. but he has a pretty face. um, I'll watch Glee, it looks funny. I've wondered, where has he been in the TV world? He just has the look and the personality that a lot of tv shows try to create for a "teacher" role. I'm thinking Glee might last at least 4 seasons...because it's set in a high school. of course shows always find ways to pull things out longer...................i.e.....save by the bell: college years. Glee will last a while. It has a decent concept; however, it just another attempt at following the musical fad. The show will only last a couple of seasons. It will end just like this crazy hysteria for musicals set in high school.